The day appeared to be consumed by a number of minor tasks and a very relaxing second BBQ lunch. The first time Daniel used the new BBQ it appeared unable to draw sufficient air through the base. 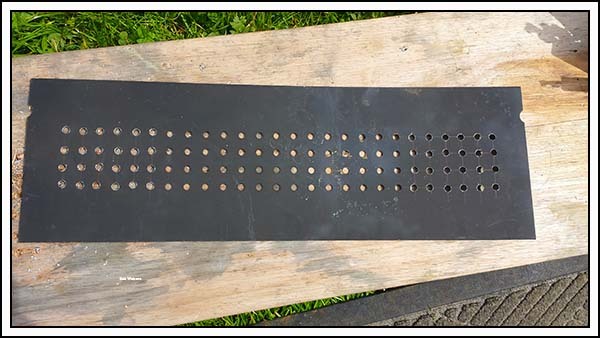 We decided it was a lack of holes in the baseplate so this morning I did something about that. 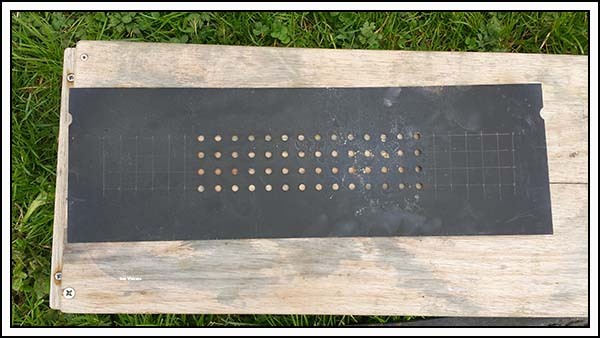 Baseplate before the modifications and you might be able to see the matrix I’ve drawn on it either side of the existing holes. Google sent me a reminder (well actually I set the reoccurring message up in Google Calendar) that the domestic battery bank needed equalizing. The Rolls batteries require 15.8 to 16.1 volts for an equalizing charge. To do this we have a small CTek charger. It’s the smallest model we could buy that has the “recon” cycle. The charger only produces 5 amps, but it’s the high voltage I need. Volts = pressure and I want to “blast” the sulphates off the lead plates. The power source was the generator. 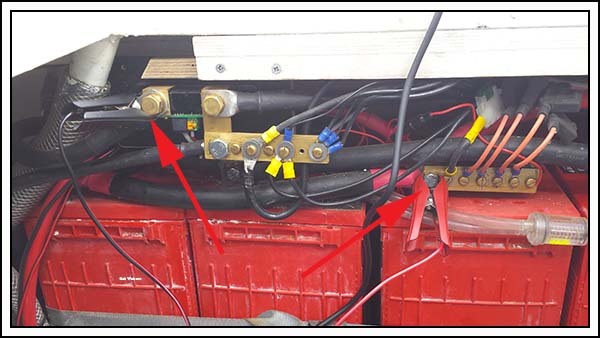 Isolated the remaining boat electrics by removing the master isolation switches. 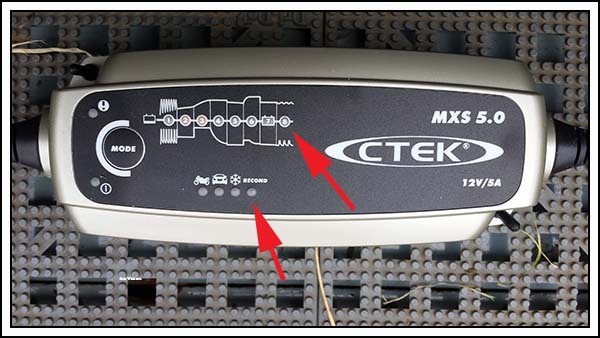 The CTek was then connected directly to the generator with the secondary terminals clipped to the battery pos & neg. The generator was then left running all afternoon. Arrows pointing to the pos & neg charger terminals. We’ve used the last spare bottle of battery water and will now have to look for another. Oh…. Daniel did another great job with the BBQ. The chicken and lamb chops (NZ of course) were beautiful. Guess we will have to keep him now!